The Crazy Crafter of Polymer Clay. Specialising in industrial heart and anatomical heart pendants. Beautiful steampunk jewellery and, also at least the odd owl sculpture or steampunk owl to sit on your shelf! Hi I am UK based crafter that creates hand crafted unique pieces of art. I am a big part of the craft community and love what I do. So welcome to the madness that is my world of polymer clay. 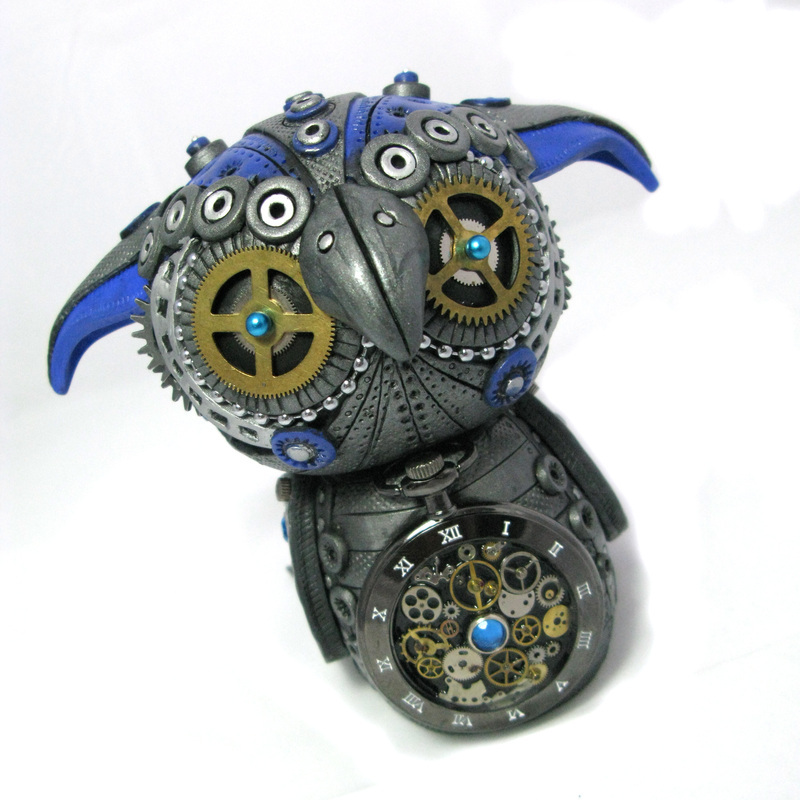 I create fun, funky and unique pieces of artistic jewellery that can either be embellished on your body or simply stood on a shelf to be admired, like an owl sculpture for instance. I create one off pieces as well as pieces that are the same, but please bare in mind although they are the same they are hand sculpted and will have slight variations, so no two pieces will ever be the same. Everything you will see has been lovingly and carefully handmade, without the use of moulds and then painstakingly detailed and embellished with mica powders to create the most bodacious piece of art that you or your friends could possibly own. However if you do not see something that you like or simply wish to have something unique to yourself created, then look no further. Simply hit the contact button and commission me to make your wildest dreams come true. 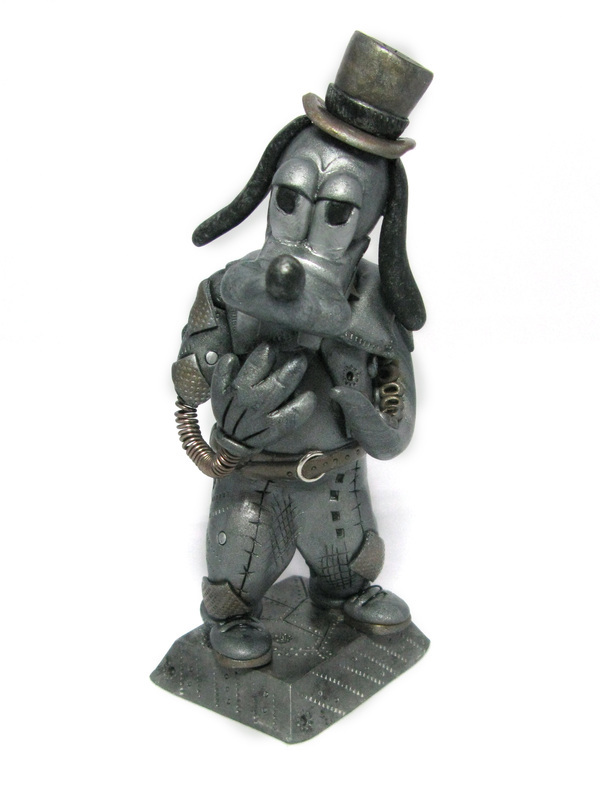 My designs are based upon steampunk and industrial, the human body, namely the heart and animals of reality. I also make fun and cute items as not everyone has the same taste in jewellery, let alone steampunk jewellery. So don't forget to take a peek at the owl sculpture below, and perhaps you might like to choose an anatomical heart pendant or industrial heart locket, either for yourself, a friend, relative, or a loved one.